Sorafenib (BAY 43-9006, Nexavar®) is an oral multiple tyrosine kinase inhibitor. Main targets are receptor tyrosine kinase pathways frequently deregulated in cancer such as the Raf–Ras pathway, vascular endothelial growth factor (VEGF) pathway, and FMS-like tyrosine kinase 3 (FLT3). Sorafenib was approved by the FDA in fast track for advanced renal cell cancer and hepatocellular cancer and shows good clinical activity in thyroid cancer. 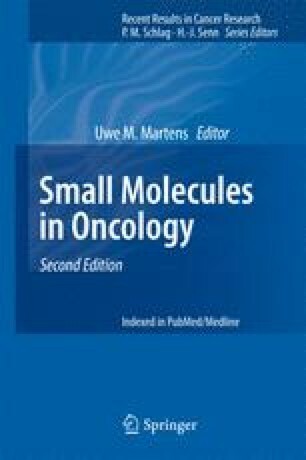 Multiple clinical trials are undertaken to further investigate the role of sorafenib alone or in combination for the treatment of various tumor entities.